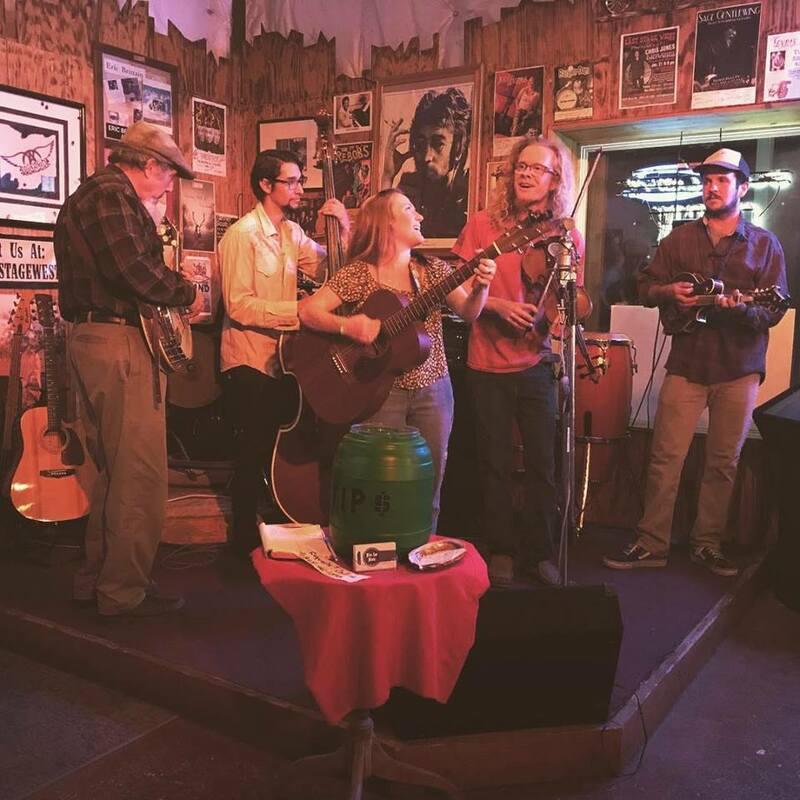 Miss Leo is joined by some of the top local bluegrass musicians to form the Central Coast's finest good-time string-band! Their music is rooted in a blend of traditional folk & bluegrass, classic rock and even soul sounds. Miss Leo writes catchy folk songs with lyrics that draw straight from the heart. The wide range of her voice is effortlessly smooth and captivates audiences of any musical taste. Some of her influences include Joni Mitchell, Neil Young, The Grateful Dead, Emmylous Harris, Dolly Parton, and many more.